Discussion in 'General Discussion' started by Riedgu, Apr 5, 2018. Hmm. 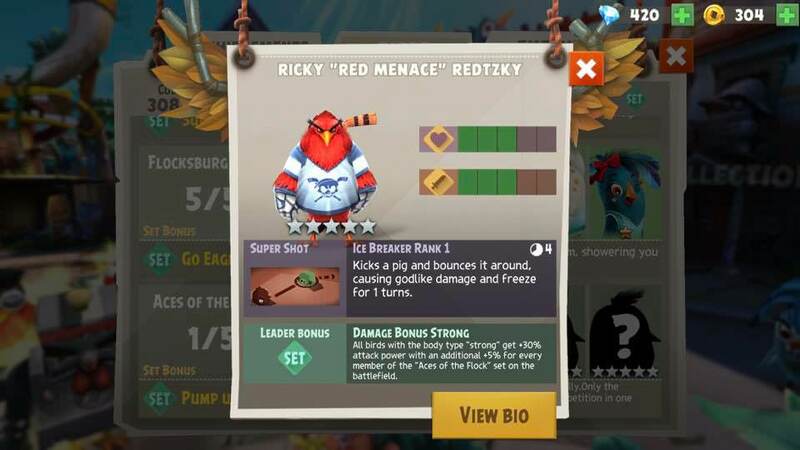 The way that leadership skill is worded implies we're going to get an update to other existing birds to indicate body type, kind of curious where that info would go now. 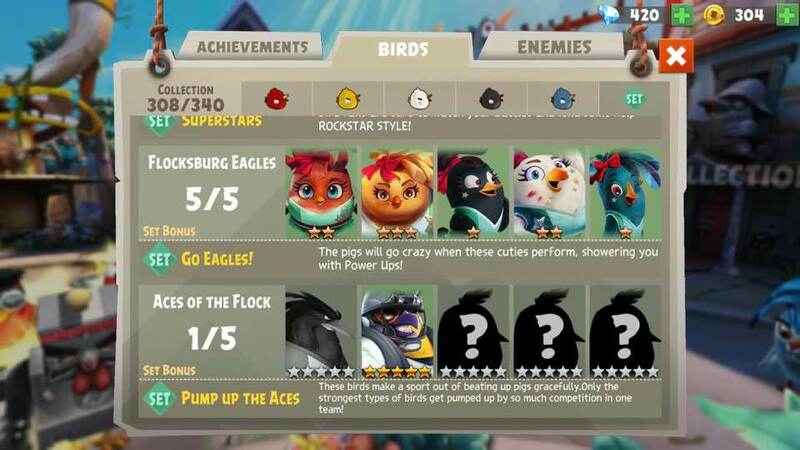 Given this new collection flock is all 5-stars, you can actually use the team for something. So... Basketball, Baseball & Soccer still to come? Cowboysfan and Jz61410 like this. Basketball I suspect will be soon since NBA is about to go into playoff in couple of weeks. Soccer I suspect will be around World Cup time. Baseball will be fall time, MLB World Series. I think that the "body type "strong"" are the birds that sway from side to side. i.e, Claude, Dutch, Captain Freedom, and so on. I hope there will be at least 2 FEMALE birds on this collection.. Agreed, but not likely based on their concept. They could easily do Soccer with a female. Cowboysfan and Matticus like this. Note that they could easily do anything with a female, even ice hockey or American Football could have been females. Not exactly, Birdstiano Eagadlo doesn’t. Baseball, Golf, maybe a F1 Driver? They might do a NASCAR driver instead. I would think the white bird would be something like bowling, NASCAR, or curling considering the fact that all those sports are based on some kind of lane. The black bird could be basketball, and for it's SS, it could have a basketball net pop up, and the bird either does a 3 pointer or slam dank, having the ball explode when it falls through the net and hits the ground. Another idea for the black bird could be something to do with tennis, having the bird lob(hit the ball really high up but to an angle) the ball, and it lands on the pigs with high velocity. The white bird and the tennis bird could easily be females as for @Matticus' request. There is a newer thread about this... somewhere. I cant recall the title though.